1. Don’t bother me with the facts, my mind is made up. 2. What the public doesn’t know, I won’t tell them. 3. If you can’t attack the data, attack the people. 4. Do your research by proclamation, no investigation is required. Dr. Michael Shermer is editor of Skeptic Magazine and has been writing a debunking column about many things in Scientific American. As far as can be determined, he has never investigated any UFO case, no less Roswell. Some idea of the level of his knowledge can be determined by his very strong support for Dr. Susan Clancy’s grossly inaccurate book about UFO Abductions. She had been featured in the Jennings show touting sleep paralysis, despite its failure to explain the great majority of abduction cases and the many simply wrong claims in her book as I noted in a review on my website. Dr. Seth Shostak, one of the leaders of the SETI Religious movement, was another of the featured debunkers. He has often commented about a lack of evidence for any UFOs being alien spacecraft, but somehow never references any of the large scale scientific studies and has also apparently never done a detailed investigation of any case. He didn’t raise his hand in response to my questions about who had read any of the 5 large scale scientific studies I covered in my lecture which he attended on the Queen Elizabeth 2. He totally forgot them in a debate on Coast-to-Coast Radio as well. In the NG show he complained that a vehicle able to get here from another solar system would have to have enormous engines and be huge, hardly what was observed at Roswell. Obviously he has trouble understanding the concept that the huge mother ships, so often observed, could do the heavy lifting between the stars while the small Earth Excursion Modules (so often observed in the 5000 physical trace cases collected and investigated by Ted Phillips) scurried around in the atmosphere. Think of the high performance small airplanes carried by huge aircraft carriers. Past history would certainly lead me to believe that astronomers know nothing about advanced propulsion systems. The third of the noisy negativists was B.D. “Duke” Gildenberg, a retired air force officer who spent many years working on advanced and sometimes classified balloon study projects. Don Berliner and I had met with Duke in NM in the early 1990s while working on our book “Crash at Corona”, a few hours after meeting with another Balloon expert Dr.C.B. Moore. Both had responded to a request in the Socorro newspaper. The meetings were cordial, but Don and I agreed that neither knew anything about the Roswell case beyond what was in the July 9,1947, Roswell Daily Record article quoting rancher Mack Brazel after he had been brought back to town and given a new story. Duke and Shermer were also featured on an equally bad Roswell debunking program on the History Channel in 1999. I have a letter to the History Channel, pointing out the many problems with that program, on the website. Shermer also published an anti-Roswell article by Duke in SKEPTIC in 2003. He just couldn’t seem to get his facts straight as I noted in an article that I wrote in UFO Magazine debunking the debunking in Duke’s article and in a Jim Wilson piece in Popular Mechanics. I had noted that it was really silly that Jennings hadn’t mentioned that Jesse was a Colonel serving in Iraq as a medical doctor, flight surgeon, and helicopter pilot (having been called back in at age 67) at the time he was interviewed. These certainly go to credibility. So there was small print under his name this time. I, however, was not referred to as a scientist. They misrepresented how the story came out mentioning Jesse Marcel Sr. had spoken out in 1978. Making it sound, following Colonel Richard Weaver’s false information in “ The Roswell Report: Fact vs. Fiction in the NM Desert” that Jesse had just come forth to tell the world. The fact is, of course, that I had been referred to him by an old ham radio buddy while I was waiting to be interviewed by a third reporter at a TV Station which his buddy managed in Baton Rouge. I called Jesse, got his story, shared with Bill Moore, heard a second story about a NM saucer crash in Bemidji, Minnesota; Bill had a third story from an English actor, Hughie Green, hearing on the radio about a crashed saucer in NM while driving across the USA. He recalled it was late June or early July, 1947. Bill went to the University of Minnesota Library, found the stories which mentioned more witnesses and verified what Jesse had told me. The first book published in 1980 (not 1978) reflected the fact that we had found 62 witnesses and many articles. The article from the Roswell Daily Record on July 8, 1947, was shown, but none of the other front page stories from major newspapers such as the Chicago Daily News, the Los Angeles Herald Express, the Spokane Chronicle, etc It was not mentioned that these stories spoke about the wreckage having been found “last week”.That way they could try to claim that it was just a Mogul Balloon. The launch they mention would have been made in early June. It, has been shown by Dr. David Rudiak, that it could not to possibly have landed on the Brazel ranch (because of careful calculations based on the weather on launch date), and would have exposed the neoprene balloons to high enough temperatures to have turned them to dust.by early July. The July 9 new story about a bundle of sticks was repeated on the air. The supposed reenacted site of the wreckage was grossly misrepresented as quite small and just with foil like material. This was based on the Sheridan Cavitt’s false claims to Colonel Weaver that he suddenly remembered the wreckage of a balloon, which wreckage would easily fit in one vehicle. No mention is made in the program that Marcel and Cavitt had followed Brazel out to the site on Colonel Blanchard’s orders because the small amount of wreckage brought in by Brazel to the sheriff’s office on July 6 was very strange indeed with nothing conventional and he had noted that there was a great deal of wreckage still on the crash site. If there had been only the balloon and radar reflector, Marcel and Cavitt would not have made the difficult way to the site. In our first conversation Jesse told me the wreckage covered an area about ¾ mile long and hundreds of yards wide. He had noted that there was nothing conventional like wires, rivets, vacuum tubes, etc. There was no crater, so the object had to have exploded in the air in order to cover such a wide area. The debunking false comments by Cavitt in the July 9 RDR still noted that the wreckage covered an area 200 yards in diameter ..or much larger than Cavitt’s sudden recall, almost 50 years later, of an area 20’ square. No mention was made of the fact that Jesse had earlier taken a course on radar and measurements of weather parameters with balloons and radar reflectors. No mention of Colonel Blanchard was made at all or that the 509th was the most elite military group in the world or that Blanchard and Marcel had flown missions in the Pacific and certainly would have recognized standard issue weather balloons and radar reflectors such as were used in the Mogul program. No mention was made of the fact that obviously Marcel and Blanchard had been very well thought of as noted in their ratings and the simple fact that Blanchard went on to be a 4 star General and was vice chief-of-staff of the USAF when he died of a massive hart attack at the Pentagon in 1966. The claim was made that Jesse was the only person alive who claims to have handled the “strange wreckage” and that he was totally influenced in his recent comments by his father’s strange belief that the material was not from Earth. Funny, Shermer’s PhD is in History of Science not psychiatry. No basis was provided for either proclamation. As a matter of fact, Brazel’s neighbor, Loretta Proctor, is still alive. She handled some wreckage. There is a video, of which they had a copy, called Recollections of Roswell which has first hand testimony from 27 witnesses including the sheriff’s daughters, other neighbors, Judd Roberts from the radio station in town and others, including direct testimony from Jesse Sr. from my documentary movie “ UFOs ARE Real” shot at his home in 1978. Instead , for reasons unknown, they showed a round faced actor when they mentioned Jesse Sr.
Not only was there the false proclamation that somehow Jesse Sr. had warped Jesse Jr’s. recall, but that some how the Roswell story was just a take off on the Aztec ,NM, crashed saucer story described in Frank Scully’s. book “___”. No linkage of any kind was provided .No mention was made of Scott Ramsey’s very extensive research which has conclusively shown there was far more to the Aztec story than the two conmen, Irving Newton and Mr.Gebauer. 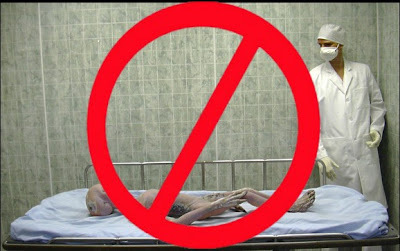 Considereing how I had heard independently of Roswell from Lydia Sleppy years before I spoke with Jesse and how I had gone to him, not him to me, and that Jesse Jr. had served on military aircraft accident investigative teams and has over a 40 year connection with the military, these claims are absurd. Of course no mention was made of the testimony of Mack Brazel’s son, Bill . The real investigators had indeed spoken to these other witnesses. Jesse Sr. had early on told me that one of his people had taken a piece of wreckage and put one end on the ground and the other on a rock and couldn’t dent it with a hammer. Only flimsy foil was shown and a pseudo I-beam. The explanation of the strange lavender symbols on the I Beam, which could not be cut burned or broken, as just sticks from the radar reflector with pieces of toy company tape with flower symbols was ludicrous. Balsa wood was used because of its light weight. Nobody would ever say that it could not be broken, cut or burned. All young boys in the WW 2 time frame were familiar with balsa wood used in making airplane models. With the very high resolution pictures taken in General Ramey’s office nobody has yet to find such tape. What was shown was narrow Xmas tape…. The foil on the radar reflectors was easily torn by a child and was not memory metal. The foil on the balloons was backed by white paper. No such paper was ever noted. Amazingly there was no mention of retired General Thomas Jefferson Dubose who was in 2 of the pictures taken in General Ramey’s office, as Ramey’s chief of staff. His first hand testimony is on the Recollections tape. He took the call from Ramey’s boss, General McMullen, instructing him to get the press off their back, to send wreckage to DC with a Colonel courier, and never to talk about it again. For some reason the famous picture with Dubose and Ramey holding a memo was not shown. Dr. David Rudiak’s deciphering of that memo clearly establishes Roswell as a saucer crash. The program, though hardly an accurate documentary, was a splendid example of propaganda with positive and negative name calling, selective choice of data, false reasoning. They made a big deal out of the War of the Worlds radio program of 1938 and showed other segments of a variety of science fiction movies suggesting that worried people were making up stories stimulated by the science fiction movies. I think a more accurate portrayal would have noted that the movies followed the UFO stories, not the other way around. Whenever possible such terms as Roswell defenders, Roswell campaigners etc were used. Too bad they couldn’t have said UFO debunkers, UFO scoffers, masters of misrepresentation, noisy negativists for Shermer, Shostak, Gildenberg.